You don’t have to log hours of screen time to make a big impression on an audience. Here are a dozen actors who received Academy Award nominations for less than 20 minutes of time on the big screen. 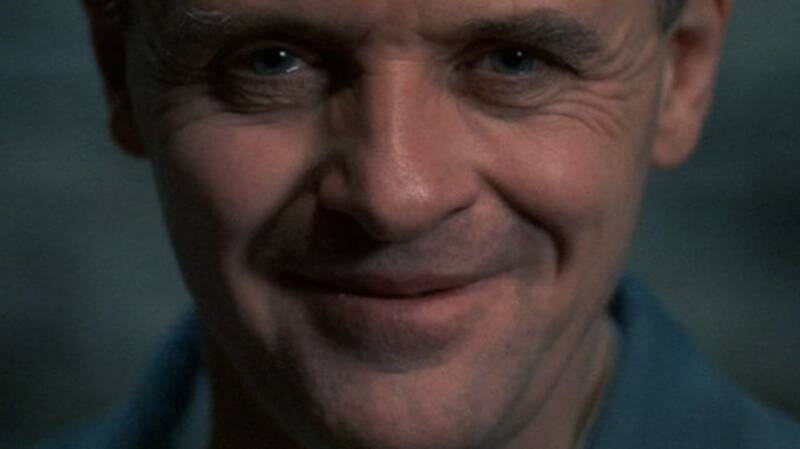 Though the final tally varies as to exactly how much time Sir Anthony Hopkins spent on screen as Dr. Hannibal Lecter—some reports put it at 12 minutes, others say it’s just under 16 minutes—what’s not in dispute is the fact that Hopkins won the Academy Award for Best Actor in 1992. In 2013, Anne Hathaway won the Academy Award for Best Supporting Actress for Les Misérables. Though she only appeared in a fraction of the film’s 158-minute running time, Hathaway truly committed to the role, losing 25 pounds and cutting off all of her hair to play the doomed Fantine. Her shining moment came with her show-stopping rendition of “I Dreamed a Dream” (above). David Niven won his first and only Oscar for Delbert Mann’s Separate Tables, in which he plays Major Pollock, a war veteran whose hidden past comes to light when several tenants and guests converge on a seaside hotel in the off-season. In 1975, Ingrid Bergman won the only Oscar (out of six nominations) for Sidney Lumet’s adaptation of Agatha Christie’s Murder on the Orient Express. More than five minutes of her brief appearance took place in one scene, an interrogation that was shot in one continuous take. In an illustrious career that spanned nearly 70 years, Ruby Dee made an indelible mark on Hollywood. And in 2008, she was rewarded for her years of powerful performances with her first (and only) Oscar nomination for her brief yet memorable role playing Denzel Washington’s mother in Ridley Scott’s crime epic, American Gangster. With a performance that clocks in at just under 10 minutes, Gloria Grahame was at one time the record-holder for Oscar-winner with the shortest amount of screen time. She won the Best Supporting Actress Oscar for her brief performance as Rosemary in The Bad and the Beautiful. Grahame would hold the record for almost 25 years until Beatrice Straight came along (more on that later). During the 71st Academy Awards, Dame Judi Dench won the Oscar for Best Supporting Actress for playing Queen Elizabeth I in Shakespeare in Love. Dench acknowledged the brevity of her role while accepting the statuette, joking that, "I feel for eight minutes on the screen, I should only get a little bit of him." Again, accounts vary on the actual amount of screen time Viola Davis had in the big-screen adaptation of John Patrick Shanley’s Doubt; estimates range from five to eight minutes, but Davis made the most of every second, decimating the screen as the mother of a young boy who may or may not have been molested. She managed to hold her own opposite Meryl Streep (who earned a Best Actress nod for the role) and competed against her Doubt co-star Amy Adams for Best Supporting Actress in 2009. Ultimately, the award went to Penélope Cruz for Vicky Cristina Barcelona. Though it’s Kirk Douglas who got top billing in Lust for Life, Vincente Minnelli’s Vincent Van Gogh biopic, it’s Anthony Quinn who stole the screen—and won the 1957 Best Supporting Actor Oscar—for the eight minutes he spent playing Paul Gauguin. In 1977, Beatrice Straight snatched the record from Gloria Grahame to become the Oscar winner with the shortest amount of screen time. During the 49th Academy Awards, Straight was named Best Supporting Actress for her brief-yet-powerful performance as Louise Schumacher, the jilted wife of William Holden’s character in Network. Had Hermione Baddeley won the Oscar for her performance in Jack Clayton’s Room at the Top, she would have blown away every record; she earned a Best Supporting Actress nod in 1960 with just over two minutes of screen time.